Here is one of the most obvious statements in human existence, people are fearful of change. This is both obvious and frustrating, as it impedes our collective ability to get better. We often focus on fear, and as a society we have allowed this to be accepted. We tend to dwell on the emotion of fear to the point of causing anxiety. What if instead of focusing on the emotion of fear, we created an environment where bravery was the dominant narrative? We would not hide our fear, but rather bring our attention to the more useful feeling of bravery. I believe that this change of paradigm would focus our attention on what we can do to face change with courage and reduce the paralysis that often comes with fear. The author and former firefighter Caroline Paul talks about this shift in her books and interviews. She was recently quoted in an interview with the CBC as saying “You can choose to look through the situation sort of through a paradigm of fear or through a paradigm of bravery.” when talking about how she, one of the first female firefighters in San Francisco, was able to walk into burning buildings, save children, and face sexism in the workplace. Why is being brave in the face of change so important? If you are going to get better, you need to change. As you learn and experiment with new things that are going to improve your practice, they will necessarily be different and a change from what you were doing. Speaking about change through the lens of bravery will help you face these challenges with courage, instead of with trepidation and fear. It will help you become better as you persevere with the new ideas you are implementing. Another important step for being brave in the face of change is to set up change in a manageable way. Be thoughtful about what change you believe will have the highest impact and then build plans for small changes in short cycles. It is much easier to be brave when you are facing a series of small changes over a period of time, rather than a big change that happens all at once. Enter the Learning Sprint. Two reasons that I believe Learning Sprints has been so successful in implementing improvement in education are: 1) the focus on positive change and improvement, 2) the small changes done over a period of time. If you are looking at leading change for improvement and reducing fear, this structure has been effective for many schools. I have often personally felt fear when faced with impending change. Having a structure where I feel like I have some level of control, I have made choices around the direction of the change and I have an evaluation system to know whether the change is effective has made me feel much more brave in the face of new initiatives. These are all benefits I have seen from my work with Learning Sprints. Given the choice between feeling fear and bravery, what do you choose? 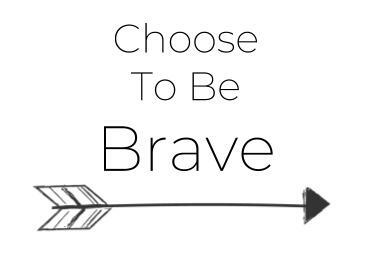 I choose to be brave.